Do away with the scouring and unpleasantness of regular toilet upkeep by installing an automatic cleaner that will leave your bowl sparkling clean after every flush. Of all the housekeeping chores that people tend to dread, there may be none more widely reviled than cleaning the toilet. It’s tedious and time-consuming, and—when you get right down to it—rather unpleasant. That’s why it makes so much sense to adopt a hands-free approach: Let an automatic toilet cleaner do the job for you! Install a Fluidmaster Flush ‘n Sparkle, and say goodbye to the sorry business of getting down on your knees to scrub the toilet bowl. Here’s how it works. 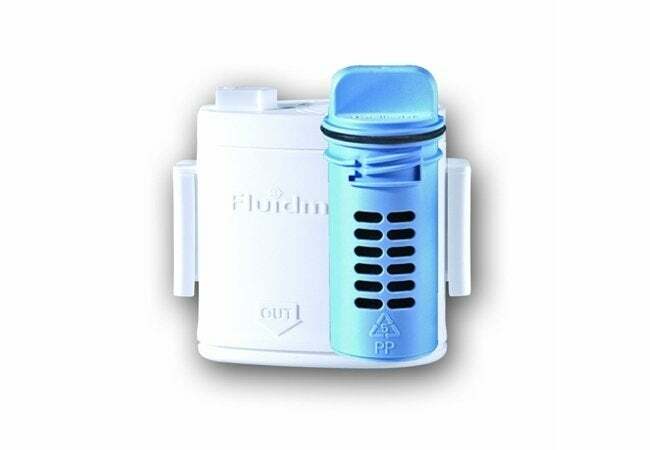 The automatic toilet cleaner hangs inside the toilet tank, concealed. With each flush, the unit feeds a powerful cleaning solution into the toilet bowl to fight stains and leave the water crystal clear. For years, the leading manufacturer in the product category has been Fluidmaster, whose line of Flush ‘n Sparkle automatic toilet cleaners always delivers instant, continuous, and lasting results that eliminate the need for arduous, repetitive scrubbing. Of course, there are alternatives to the Fluidmaster system. Drop-in tablets and pour-in liquid cleansers have both been used for years. The trouble is that, though reasonably effective, such in-tank treatments typically hurt more than help. 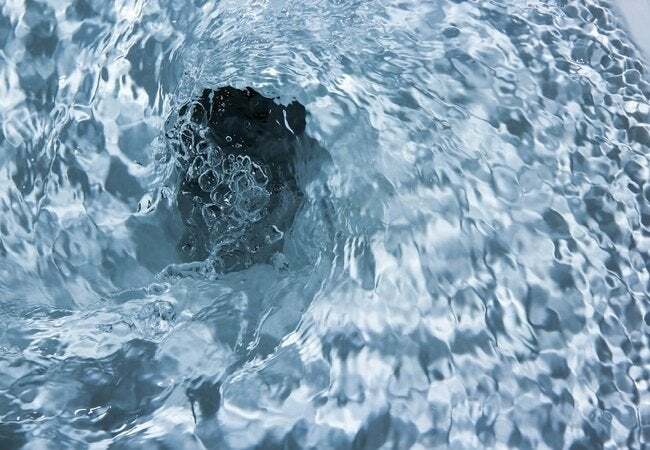 “If you let them sit in the tank water for extended periods of time without flushing, the harsh chemicals that clean the bowl can actually degrade the internal components of your tank, possibly even eroding the tank itself,” says Daniel O’Brian of SupplyHouse.com. Inexpensive and easily installed, the Fluidmaster automatic toilet cleaner differs from other in-tank solutions in that, first and foremost, it operates automatically. Second, and more important, it does no harm to the toilet, because the patented Fluidmaster never puts its cleaning solution into contact with the most vulnerable parts of the toilet, those located in the tank. Rather, the system channels its solution directly into the bowl, preventing damage. Fluidmaster houses its surfactant-based cleaning solution in disposable cartridges, which, according to O’Brian of SupplyHouse.com, typically last about three months. When the time comes to replace one, it’s a simple matter of swapping out the old for the new. Available in multipack refills, cleanser cartridges come in three varieties—the standard cleansing agent, a bleach-based option, and a special clog-reducing formulation for septic systems. Installing the Fluidmaster couldn’t be easier. 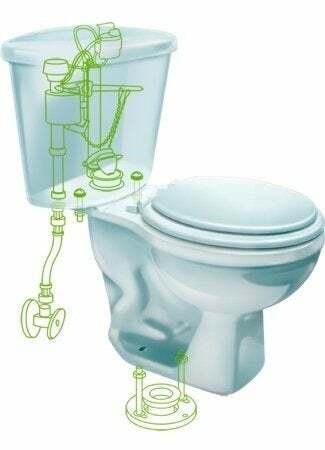 After hanging the holder on the back wall of the toilet tank, attach the inlet hose to the fill valve and the outlet hose to the overflow tube of the flush valve. Finally, insert the cartridge in the holder. That’s it. “Any capable homeowner should have no problem installing the kit,” says O’Brian. He estimates the process takes no longer than five minutes. Replacing a cartridge can be done even more quickly, perhaps in under 60 seconds. Say goodbye to the hassle, labor, and discomfort of having to clean your toilet manually on a regular basis. Instead, install Fluidmaster Flush ‘n Sparkle just once, and your toilet can sparkle all on its own!